Integrate.com of Denver, Colorado USA won the Stevie Award for Best New Company of the Year at The 2011 American Business Awards. Here we look at how this new company achieves its goals. Integrate claims to be the first advertising marketplace of its kind. It is making waves in the online marketing industry by offering a technology that combines a wide array of distribution sources with multiple campaign models in order to serve every type of advertiser in their quest for new customers. Following are four ways that Integrate.com is living up to its name. Integrate’s advertising marketplace is a media-buying dashboard. It unites every type of distribution source: websites, mobile publishers, television networks, national and local radio syndicates, billboard sources, online and offline yellow pages, email marketers, newspapers, magazines, and more. customized, performance-marketing campaigns. At the click of a button they connect with hundreds of media sources—a process that historically takes days is reduced to minutes. Put simply, the Integrate platform allows one person to do the job of an entire team, from any place with an Internet connection. Integrate caters to many performance-based pricing models where advertisers and merchants pay only for the qualifying leads, customers, or inbound phone calls they receive. Integrate pay-per-performance models include Cost-per-Lead, Cost-per-Acquisition, Cost-per-Inbound-Call, and Cost-per-Live-Transfer. Integrate claims to be the first platform to combine all of these options into one system. Integrate also provides a proprietary matching technology to streamline the media transaction process. Upon joining the marketplace, advertisers and publishers create custom profiles highlighting important details about their companies and their areas of expertise. The Integrate technology uses this information to automatically match campaigns with the fulfillment sources most likely to deliver the best results. Integrate maintains a commitment to quality from the moment a partner applies to its community and throughout every interaction that takes place on its platform. All applicants undergo a strict approval process to ensure that only the most reliable partners have a presence. Stringent quality-control filters are applied throughout the campaign-creation process, implementation, and delivery. Integrate aim is to introduce ethics and accountability into the performance marketing space. Integrate is not just an advertising marketplace, but also a community. It provides a semi-transparent environment that bridges the gap between publishers and advertisers. Both parties can review one another’s vital business data—including credit and trade reference reports, campaign performance statistics, strengths, and weaknesses­—before deciding to collaborate. Parties communicate with one another through the Integrate Messaging Center. Using Integrate’s mediation tools, advertisers and publishers can directly discuss any quality-and-return issues that may arise. Since its launch in February 2010, Integrate has united more than 3500 advertisers and publishers, and provided the technology behind more than 2500 marketing campaigns. It received its first round of funding from Foundry Group in December 2010. 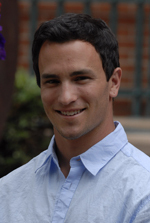 Jeremy Bloom is Co-Founder of Integrate. Through his vision, Integrate achieved impressive scale from the beginning. Bloom specializes in moving fast and making an impact. His focus and motivation provide unbeatable inspiration for his team. Bloom began his career in professional athletics, both as an Olympic Skier and NFL Football player. In addition to his athletic and business accomplishments, he launched a nonprofit foundation, Jeremy Bloom’s Wish of a Lifetime, which grants wishes to 80, 90 and 100+ year old people across the country. Integrate is a next-generation multi-channel advertising marketplace that applies new technology to streamline the media-buying and -selling process. It combines virtually every type of media source—ranging from contextual sites, email, and mobile to billboards, TV, and radio—into a single dashboard, allowing one person to effectively do the job of an entire team. Integrate’s proprietary IMPACT technology automatically matches ad campaigns with the most relevant sources for fulfillment based on a series of data points including vital business details, campaign criteria, and performance statistics. Market participants directly communicate and negotiate with one another through the Integrate Messaging Center. Integrate provides the marketplace with unparalleled data validation and fraud prevention controls to ensure that all parties are mutually protected. For more information go to www.integrate.com.